Autumn is a wonderful time of the year to explore Japan where the weather is cool in the mornings and evenings However during the day sightseers can enjoy lovely and predictable mild weather for which this season is famous. The mountain ranges, parks and gardens of Japan provide a magnificent backdrop where the leaves of the many maple and ginkgo trees turn a rich red, purple and yellow presenting spectacular scenery. 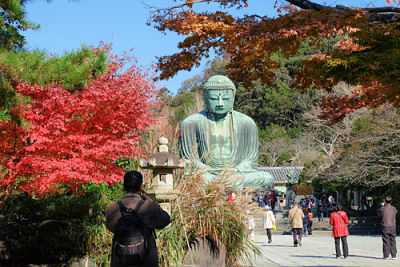 The peak season for Autumn leaf viewing in Japan is from the middle of October through to the final week of November. If you plan to visit Japan just once in your lifetime, our 21 Day Grand Autumn Leaf Tour of Japan will ensure you see all the major highlights in just one visit. Autumn in Japan is an absolutely spectacular season to see destinations such as Hakone, Takayama and Kyoto. This tour has been designed for travellers with the luxury of time to delight themselves with the beauty of Japan's autumn season colours. Our 18 Complete Autumn Leaf Experience Tour of Japan visits the many fascinating cities on the Island of Honshu at a relaxed pace. Efficiently transporting from one city to another is part of the joy of Japan travel as you swiftly board high speed bullet trains. 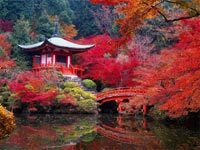 Experience all the wonders Japan has to offer with this 16 day Complete Autumn Leaf Experience Tour. Starting from Tokyo, you will get to explore the biggest Japanese attractions while appreciating the beautiful golden colours of the Japanese autumn. Highly recommended - especially in autumn!!!! This is by far our most popular selling tour which is specifically designed for first time visitors to Japan. The "complete experience" name is appropriate as it includes all of Japan's popular highlights over 14 days. Destinations such as Hakone and Takayama are absolutely magical in the autumn season. Colourful autumn leaves, known as koyo in Japanese, inspire millions of visitors to travel to Japan during the months of October and November. 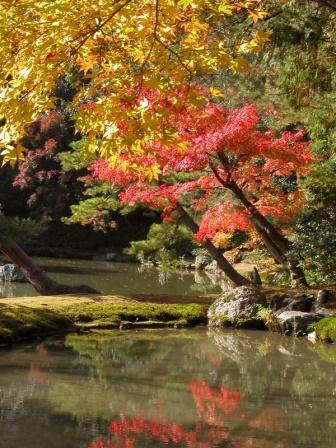 Japanese gardens is the ideal location to appreciate the beauty of koyo season. Most of these breathtaking gardens located throughout Japan are included in our 14 Day Autumn Japanese Gardens Tour. 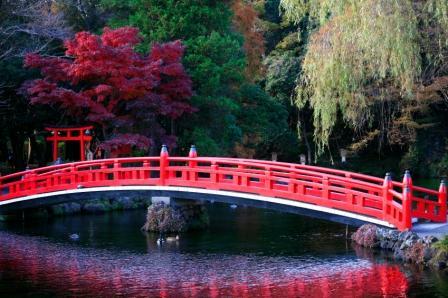 On this tour we combine the beauty of Japan's spectacular autumn gardens with fascinating sightseeing. The ideal package for those with the luxury of some extra time. Enjoy three major cities in Japan with time to enjoy the atmosphere of each location. Three nights in Tokyo, three nights in Kyoto and two nights in Hiroshima gives ample time to experience each uniquely different city.